The Ocean Fairies keep all the sea creatures safe and happy! But when the goblins shatter their enchanted conch shell, seven magical sea creatures leave to search for the pieces. The Ocean Fairies must find the shells . . . and their animal friends! Rachel and Kirsty need to find the final piece of the enchanted shell, but it won't be easy to outsmart Jack Frost. 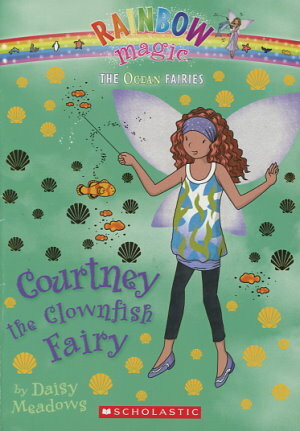 Luckily, they'll have help from Courtney the Clownfish Fairy! Find the missing creature in each book and help save the ocean magic!